This is actually my first hair tutorial on my YouTube channel. I also do different hairstyles on my locks but I didn't have the courage to actually film my self getting my hair done in front of a camera and today I got some courage to finally do so. The style is actually simple and it's wearable on an everyday basis. 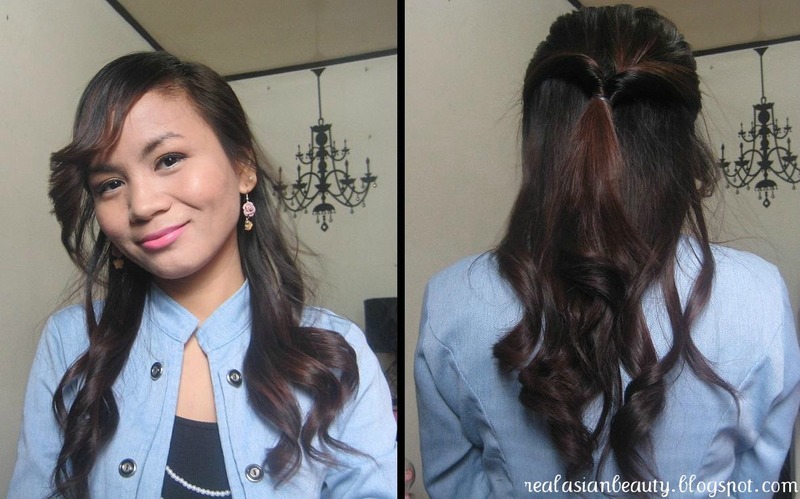 You could pull off a hairstyle like this on a party or on a dinner date. 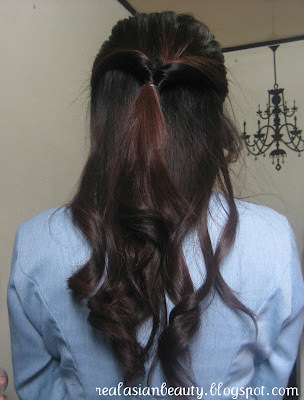 And because it's really simple, you could also do this when you go to the office or to school, though it may be a little "party-ish" for some, I think it's really good but just remember to make the curls softer and loose. And that's it! It was quite simple, huh? But for those who don't have a curling wand, then you could use a straightening iron, too. Follow this blog to get updated with stories and tutorials. Come and visit my YouTube channel, too. For questions, comments, opinions and other stories, you may leave them in the comment section below.